The most popular new variety of the last 30 years. Double Delight fulfills the two highest demands of a rose—an eye-catching color combo and fantastic nose-pleasing fragrance. 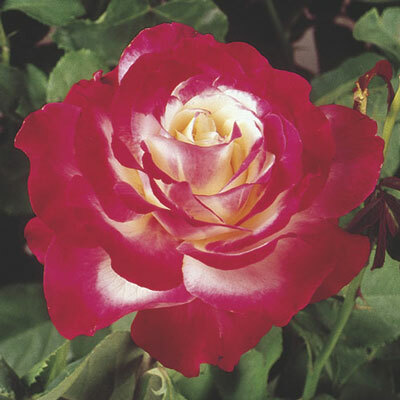 The prolific bush provides lots of creamy pointed buds that blush red with the rays of the sun. Deep green leaves. Best color/flower size in warm days & coolnights.